Laura has been fortunate to work alongside Dr. Penny as a vision therapist for the last 30 years. Her career has always been a passion of hers and it has made going into the office every day, a wonderful, fulfilling and exciting way to spend her time. She loves working with children and adults of all ages and with all sorts of visual difficulties. Nothing makes her more excited than watching every single patient experience better vision and achieve their full potential in life, school and their career. When she’s not at the office she enjoys spending time with her nieces, her horse and travelling. She has two wonderful nieces, Kaitlyn and Jessica, who constantly make her laugh and she feels very blessed to have such a close relationship with them. Laura even did vision therapy with Jessica and has been able to witness firsthand how it has helped build her confidence and encourage her to become the athlete she is today. 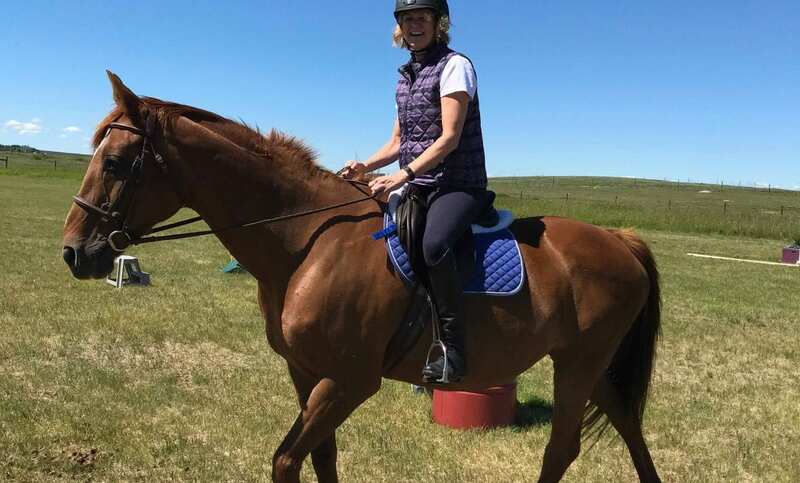 Laura’s horse Nickers is very talented and has jumped at Spruce Meadows and many other venues in Alberta for the past 10 years. 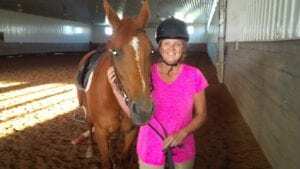 Laura was fortunate enough to buy her 3 years ago and has been learning to ride and jump ever since. Since Nickers has come into Laura’s life she’s had the opportunity to learn a lot when it comes to riding and Nickers really keeps her on her toes and in the saddle! Laura’s always had a passion for travelling and has been to many places in the world, but her two favourite places to visit and explore are Vancouver Island and Bigfork Montana. Keep your eyes out for Laura next time you’re in the clinic. She’s always very happy to share her interests with you, as well as share your visual journey! To see her full bio click here!